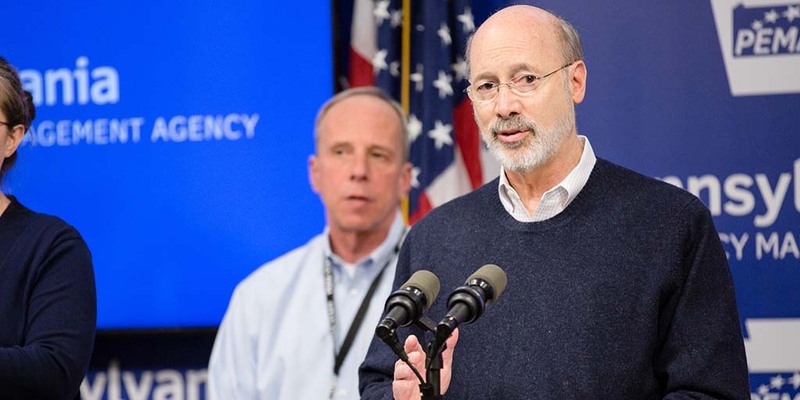 Harrisburg, PA — Governor Tom Wolf today announced the renewal of his 90-day opioid disaster declaration, which was introduced in January and set to expire on April 10. The renewal allows for the 13 initiatives introduced in the past 90 days to continue without interruption and for the introduction of new initiatives to help those suffering from opioid use disorder (OUD). Secretary of Health Dr. Rachel Levine signed a naloxone leave-behind standing order. Several local agencies, including the City of Pittsburgh EMS, Fayette County EMS, and the Bucks Country Emergency Health Services Department are already participating in the leave behind program. Expanded access to the Prescription Drug Monitoring Program (PDMP) to other commonwealth departments for clinical decision-making purposes. Numerous local and state departments have already gained access to the database, and neighboring states are now connected to Pennsylvania’s PDMP. Waived fees for birth certificates for individuals with opioid use disorders, allowing them faster access to treatment and benefits. To date, more than 80 birth certificates have been expedited through this process to help get people into treatment faster. Added non-fatal overdoses and neonatal abstinence syndrome (NAS) as reportable conditions. More than 60 percent of hospitals and birthing centers in the state are now reporting cases of NAS. Waived annual licensing requirements for high-performing drug and alcohol treatment facilities and have already seen over 50 percent of eligible facilities apply for and receive two-year licenses, ensuring continued, high-quality treatment for OUD sufferers. Another major initiative was the creation of the Opioid Data Dashboard to help the public gain access to information about what resources are available locally, and where those resources need to be deployed. The dashboard can be viewed here. When Gov. Wolf signed both the original and renewal disaster declarations, a public health emergency could not be declared. Today, the governor was joined by Senator Jay Costa to announce legislation to empower the Secretary of Health to declare a public health emergency, creating a more streamlined vehicle for deploying resources specific to that emergency – opioids or another health crisis. More information on the Wolf Administration’s efforts to combat the opioid epidemic and how people suffering from this disease can get help is here. Copyright © 2018 PA HOPE Caucus. All rights reserved.